Merrell Bare Access 4 are neutral minimalist running shoes. 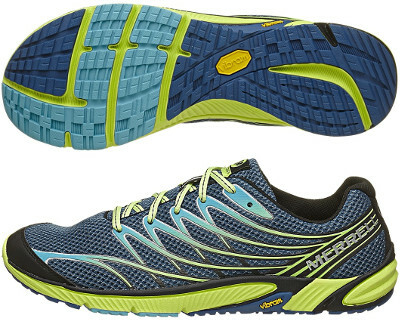 The Merrell Bare Access 4 provides minimalist feel but with some cushioning. Lightweight, low profile and zero drop make it suitable for different scenarios from speed workouts to marathon racing. Given the success of the Bare Access family everything suggests that Merrell will not release a Road Glove 4 and therefore discontinues latter model. Not many changes from its predecessor the Bare Access 3: cushioning is more responsive (8 mm midsole with MBound™ and compression moulded EVA) and overall flexibility has been improved. Heel collar is now softer to avoid friction and improve comfort in the heel area. Vibram™ outsole has been redesigned for the first time after 3 identical releases in order to improve grip on wet terrains. Like many other products from Merrell, only high quality synthetic (no animal) materials have been used to manufacture the Bare Access 4 making it vegan friendly.